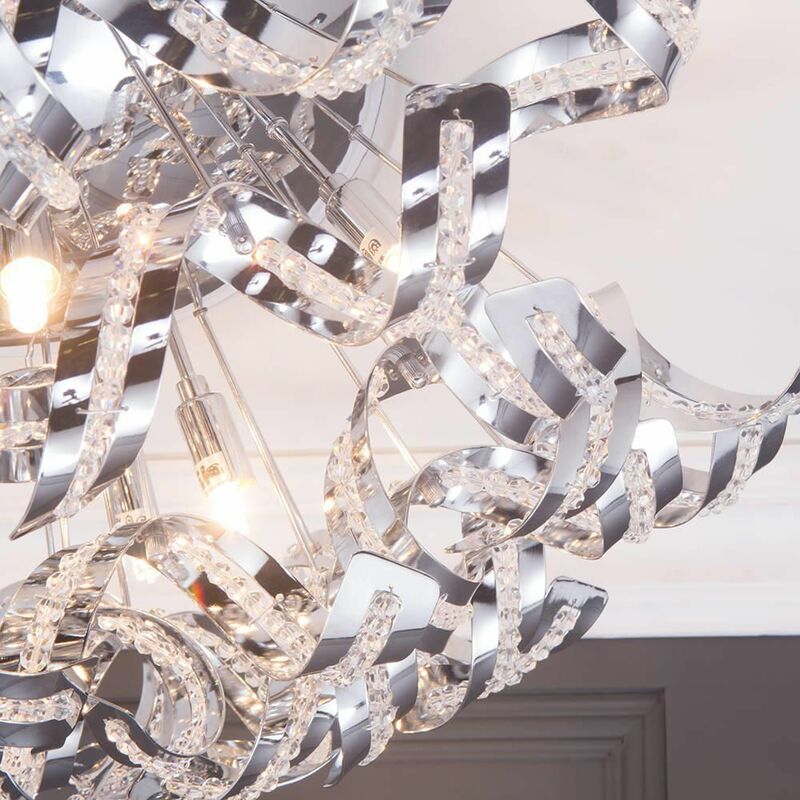 This awe-inspiring ceiling light will be the centre of attention in any room. 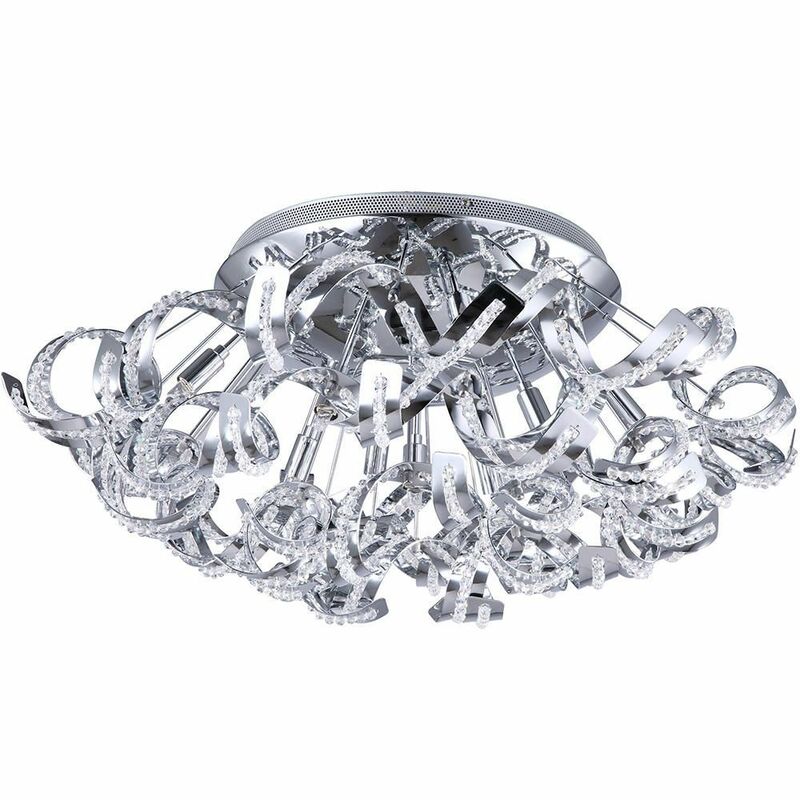 The Twirl 9 ceiling light features 9 bright lights surrounded by polished chrome curled arms. Crystal effect beading adds a sparkling, decorative touch. 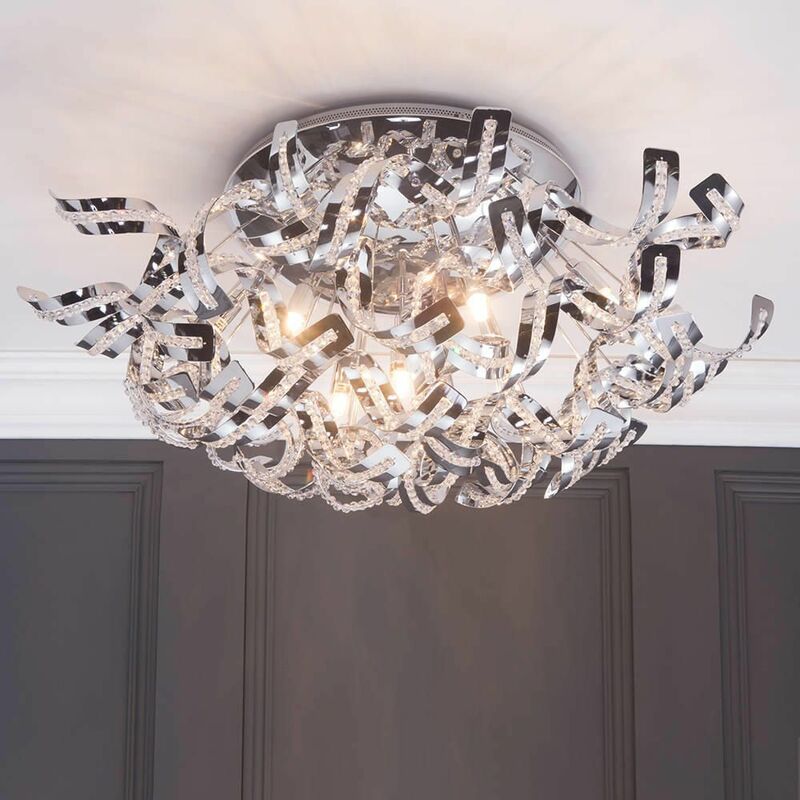 The Twirl ceiling light is perfect for illuminating living rooms, bedrooms and dining rooms.